It’s the heart of campus, the worst part of your day, a behemoth blanketed by pink flamingos and panting students bent over at 45 degree angles. It’s Bascom Hill. Measuring 850 feet long and, from the Park Street sidewalk to the base of the Lincoln statue, 86 feet tall, it’s as steep and long as it is picturesque. And, as evidenced by the unfortunate sweat stains in your 7:30 a.m. lecture, it’s a good workout. With these five exercises, it could also be your new gym. Note: When exercising in the summer, drink more water and take longer breaks than you normally would to stay safe. And tailor these recommendations to your personal level of fitness. New to cardio? 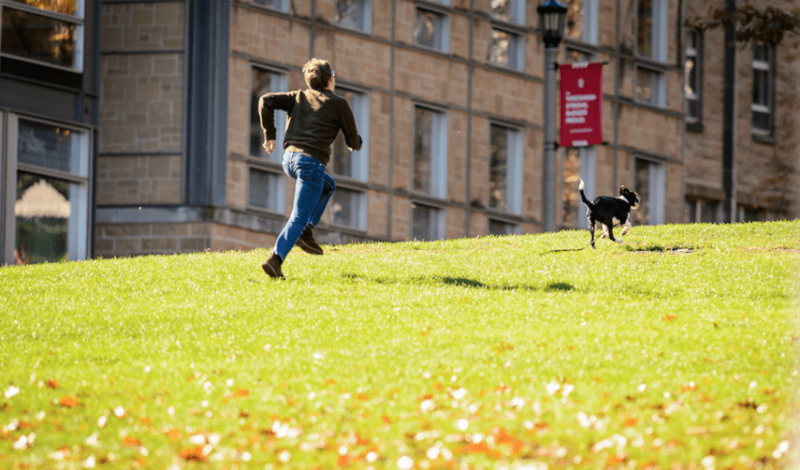 Take it easy at first and follow in the footsteps of thousands of students every day during the school year by walking up and down Bascom Hill. Because the hill has a 10 percent slope, even one lap will have you breaking a sweat. Take one path up and the other parallel path down at a brisk walking pace. Do this 10 times. High-intensity interval training – alternating between short bursts of intense exercise and less intense recovery periods until exhaustion – is one of the most efficient ways to burn calories and fat. This exercise does just that. 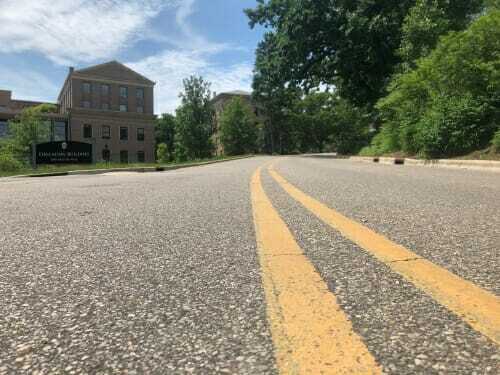 Bascom Hill has three sidewalks bisecting the hill horizontally, and you will use them in a series of alternating sprints and walks until you’re drenched. Start at the base of the hill where the grass starts and sprint to the first bisecting sidewalk. Then, slowly walk to the next bisecting sidewalk. Once you reach the sidewalk, start sprinting until you reach the next sidewalk. Finish off the set by walking to the top of the hill. Jog leisurely down to the bottom of the hill and repeat this five times. 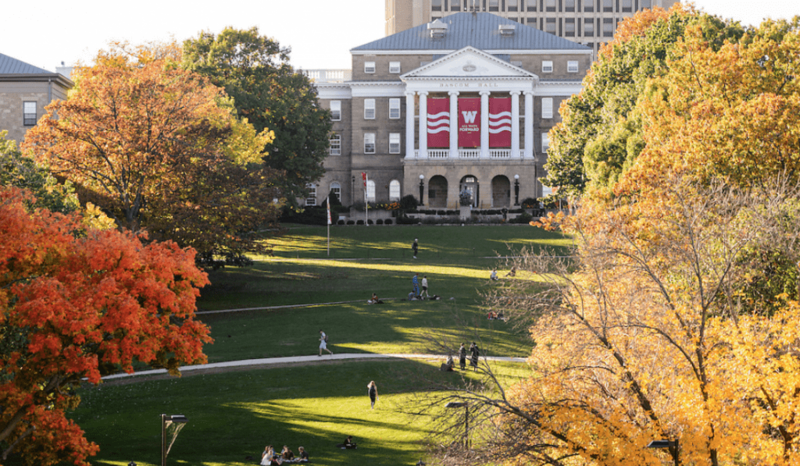 A weighted, controlled lunge helps to develop lower-body strength, muscle balance, and endurance, and doing it on the incline of Bascom Hill will leave your legs aching. Fill a backpack with books (or similarly heavy items) and pretend you’re making the trek to start a 12-hour study binge before your most important final. Starting at the bottom of the hill, you’re going to lunge by bringing your rear knee towards the ground (but not letting it touch it) while keeping the front leg bent at a 90 degree angle. Alternate the lunging leg each step you take for 10 lunges and then take a 30 second break. Continue until you reach the top of Bascom and then repeat the exercise going back down. Do this three times. It won’t be easy to catch the 80 at its next stop after it departs from Memorial Union, but if you sprint fast enough, it’s possible. 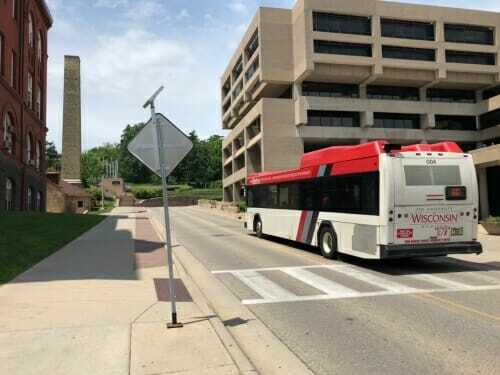 The bus stops regularly at the bottom of Bascom Hill before winding its way up the side of the hill to a stop across the street from Bascom Hall. Once the 80 departs, start sprinting – watching both ways for cars and cyclists, obviously – up the two flights of stairs next to the Education Building, across the veranda and up two more flights of stairs. Jog back to the starting line and wait for the next 80 to arrive by doing a circuit of jumping jacks, standing lunges, and jump rope. This exercise doesn’t actually involve North Frances Street but the pun was too good not to use. Instead, you will cycle up Observatory Drive. Starting in front of College Library, bike up the steep, winding road the 80 bus follows until you reach the Sewell Social Sciences Building. 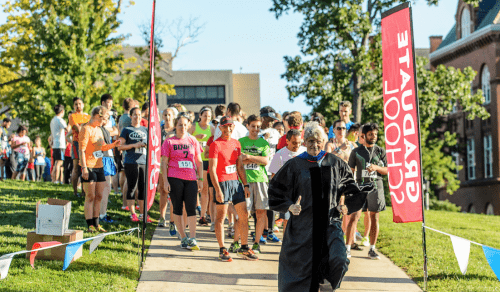 It may not seem hard at first, but halfway through – as you peer through the trees at the vista of Lake Mendota – your thighs will burn like you’re on the Col de la Madeleine. After conquering the hill, turn around and glide back to the starting point. Allow yourself a few minutes of rest before doing it again.